Lanarkshire Association of Burns clubs invite you to the annual Wreath Laying Ceremony at Covington Mains. 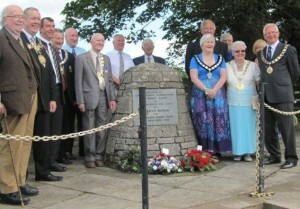 The Cairn at Covington commemorates the visit of our Bard to the local farming community on his way to Edinburgh. 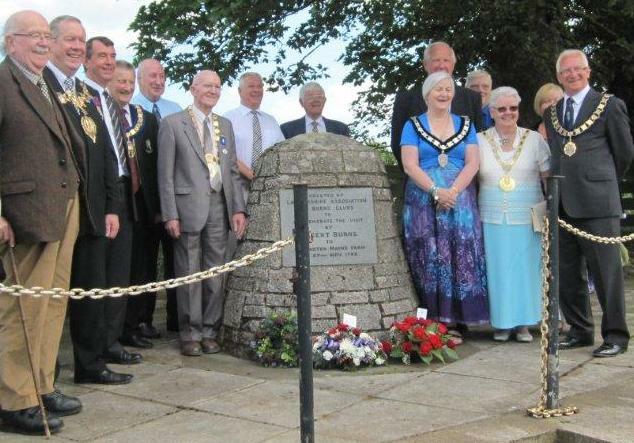 The wreath Laying will take place at 2.00pm on the afternoon of Sunday 7th July 2013. RBWF President Bob Stewart will deliver the Eulogy to our bard. After the wreath laying we will go to Shieldhill Castle Hotel for afternoon tea and entertainment from some of our young schools entrants. The hotel is 2.5 miles from the cairn. Due to increasing cost, afternoon tea will be £10.00 per head. For catering purposes can you please let me know how many will attend. Looking forward to seeing you on 7th July at Symington. © 2019 Robert Burns World Federation. All Rights Reserved.